Murray Beach is a Senior Advisor to TM Capital Corp. For four years, Murray was a Managing Director at TM, and headed the Technology Group. Prior to joining TM Capital, Murray was the President and co-founder of Boston Corporate Finance, a boutique investment banking firm focused on providing merger and acquisition, capital raising and general advisory services to global companies in the technology sector. He has over thirty years of experience in negotiating, structuring, valuing and closing mergers and acquisitions. Over his career, he has closed over 100 M&A transactions and over 100 financings with companies in the Technology, Healthcare, Consumer Products and Financial Services industries. 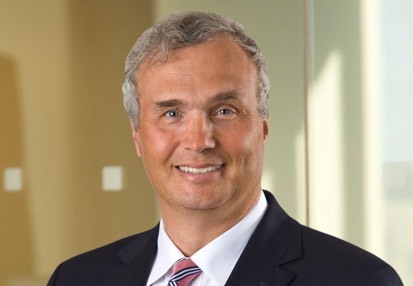 Prior to founding Boston Corporate Finance, Murray was a Group Head of Corporate Finance for KPMG, serving Technology clients around the globe. Prior to KPMG, Murray worked at Advest, Inc. for more than fifteen years, serving as the Head of Corporate Finance from 1990 – 2000. Murray graduated with honors from Harvard University and earned an MBA from the Amos Tuck School at Dartmouth College. Murray is the former President and Chairman of M&A International Inc., the world’s leading M&A Alliance with over 45 offices around the world. He has been a guest lecturer at the Harvard Business School, Cornell University, and Dartmouth College. Murray has served numerous times as an expert witness in complex litigation matters involving shareholder rights and valuation matters. Murray and his wife, Pat Palocz, have five children, ages 16 – 29. He loves animals, owning two Labrador Retrievers and a cat. Murray is an avid sailor, having raced his boat, Meridian, to Bermuda and cruised her all along the eastern seaboard of the United States. His favorite sailing grounds are the coast of Maine and Nantucket Sound. Besides being a sailor, Murray is an active rower; he has been involved in the sport since high school. He is currently on the Board of the National Rowing Foundation and is a member of both The Cambridge Boat Club, as well as the Leander Club in England.